Wondering if you should go to the trouble to start or maintain a blog for your plumbing business? While it may seem unnecessary, a blog actually provides many benefits to your business, including an SEO boost. Here are a few reasons you should publish a regular blog for your plumbing business. 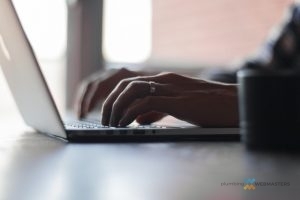 A blog is a versatile way to connect to your customers and add some character to your company. You can also establish your business as an authority by posting helpful tips, videos, and other information on your blog. This is a great place to interact with customers through the comments section, and you can even push your blog out to your social media platforms to increase your reach and interaction with customers. Most company websites are rarely updated. After all, how often do you change your services or contact information? Search engines like to see an active website with regular updates, and a blog is an excellent way to do that. By posting just once a month, you can add new indexed pages to search engines which will boost your search engine optimization. Another benefit of a blog is that it serves as another way to drive traffic to your main website. Maybe a user stumbles across a blog post, finds it helpful, then goes to your website for more information. If you push the blog to your social accounts, you can increase your inbound marketing with more links back to your site. Plus, there’s a great opportunity for people to share or interact with the post, making it visible to even more potential customers. Through your plumbing business blog, you get a whole new opportunity for increasing your brand awareness. A blog is a great place to share photos of projects, personal news, company updates, and stories from your local community. This can help establish your brand within your service area, and could even lead to a viral post. No time for a plumbing business blog? We can help! Call Plumbing Webmasters today at (877) 388-9884 to learn more about our SEO services, including regular blogs with original content!